The code below assumes that you’ve read the entire “Server-side Flow” section and have made some attempt to understand it. 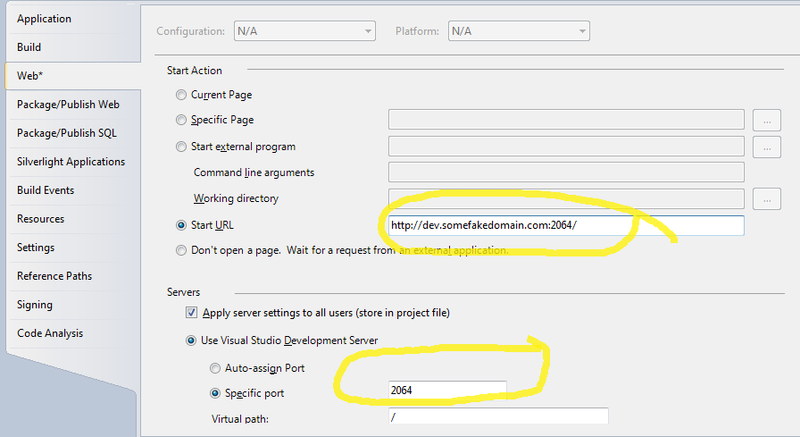 I used Visual Studio 2010 and generated a new project of type “ASP.NET MVC 3 Web Application”, on the next step I choose Internet Application (once you’ve mastered the code below you’ll also be able to do this starting with Empty). In web.config you can delete the sections <membership>, <profile> and<roleManager>. You can also delete the <connectionStrings> section (or at least the one with the name “ApplicationServices”). The reason for all this is that we won’t be using any of the built-in profile/membership/roles providers or the database connection string they rely upon. The port can be anything you like, as long as it’s not used by another application on your machine (I use whatever port Visual Studio assigned). Add a new controller. I called it Facebook (if you don’t call it “Facebook”, don’t forget to change the loginUrl part of the <forms> tag in web.config). * domain by editing your C:\Windows\System32\drivers\etc\hosts file. // get the cookie the way forms authentication would put it together. Facebook login encountered an error without a description. Now that you’ve done this you can use the built-in [Authorize] tag on any controller method and the user will get sent to your Facebook/Login controller. The sky is the limit from here. You could also use the Facebook SDK on codeplex, which provides a richer programming model and more functionality, but if you want to understand what’s happening behing the scenes, this gives you a good idea of the handshake required for successful Facebook authentication. If there is interest, I will post a working project example.